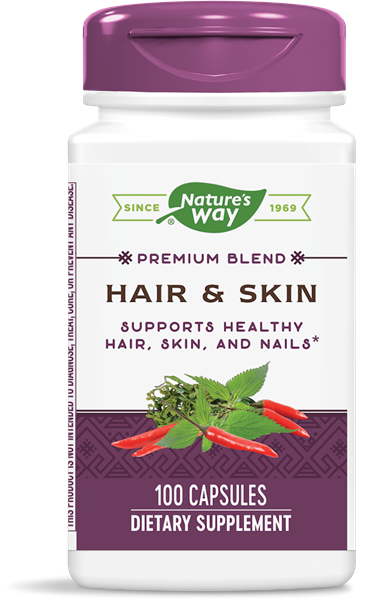 Hair & Skin / 100 Caps - Nature's Way®. Take 4 capsules daily, preferably with food. Contains milk and shellfish (crab, shrimp, and lobster). If you are pregnant, nursing, have kidney dysfunction, or are taking any medications, consult a healthcare professional before use.